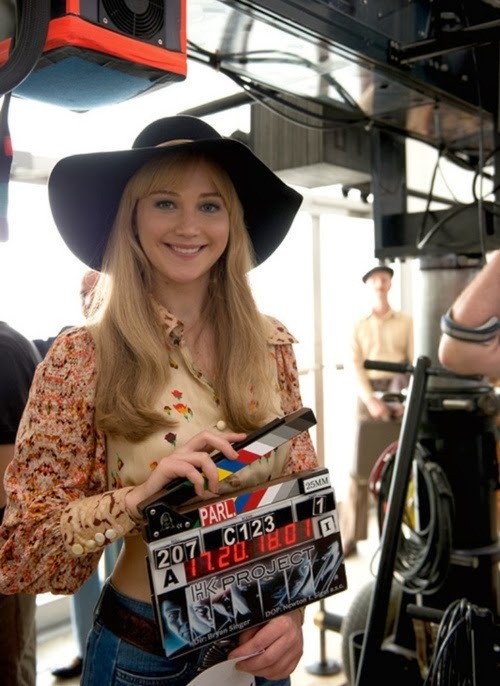 Jennifer Lawrence in "X-Men: Days of Future Past"
"X-Men: Days of Future Past" is coming to theaters on May 23, 2014. It is absolutely certain to be one of the top films at the box office this year, perhaps the number one film of the year. Few films have been as eagerly anticipated as this one, and 20th Century Fox is assured of a good payday from this one. 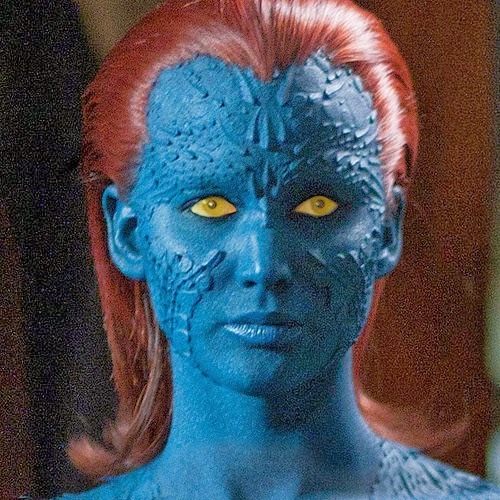 Most recall that Rebecca Romijn originally played the role of Mystique in the series. 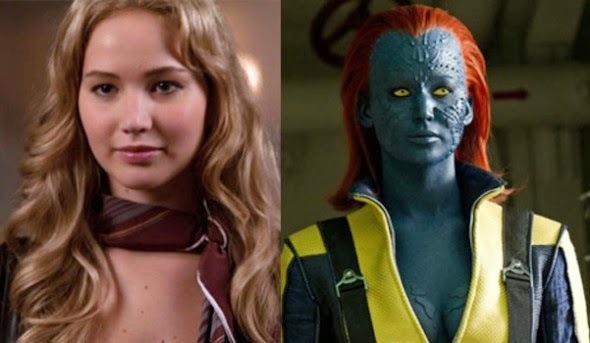 That mantle passed to Jennifer Lawrence in "X-Men: First Class" (2011). 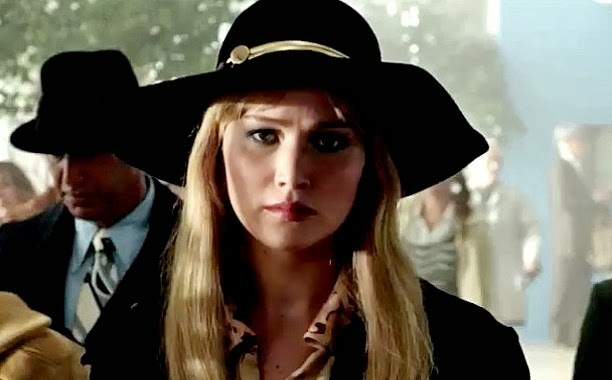 The "Hunger Games" and "Hunger Games: Catching Fire" girl seems to be everywhere these days. 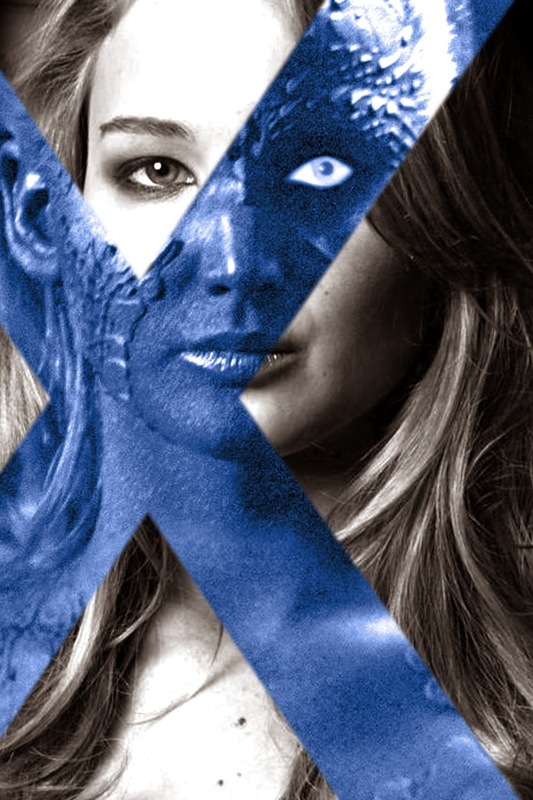 Starring in two hot franchises at the same time must keep Lawrence busy. Some shots from the set have appeared. 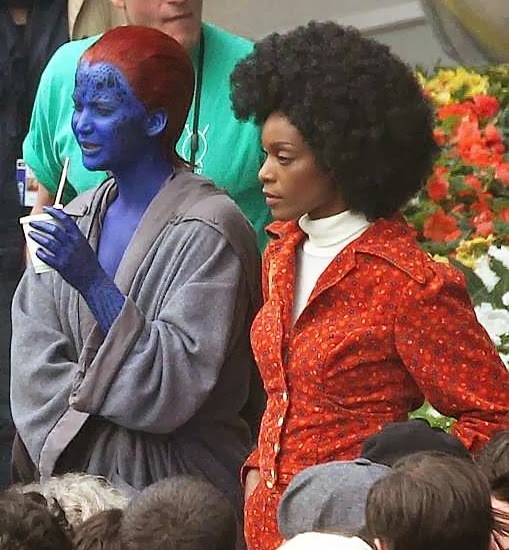 Word is that it takes seven hours a day for Jennifer to get into her tiny costume and then undergo repeated spray paint jobs. The makeup women are working overtime on this project, and the results look very good from what has been released. The ultimate X-Men ensemble fights a war for the survival of the species across two time periods in X-Men: Days of Future Past. 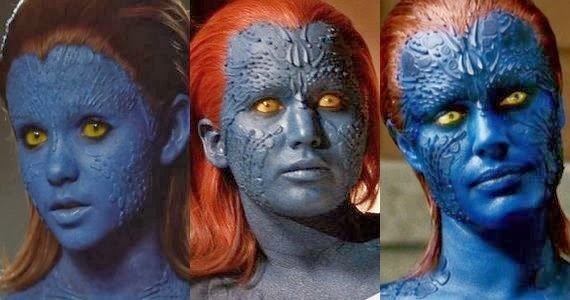 The characters from the original X-Men film trilogy join forces with their younger selves from X-Men: First Class in an epic battle that must change the past - to save our future. "X-Men: Days of Future Past: stars Evan Peters as Pietro Maximoff/Quicksilver, Michael Fassbender as young Erik Lehnsherr/Magneto, Nicholas Hoult as Hank McCoy/Beast, Hugh Jackman as Logan/Wolverine, James McAvoy as young Charles Xavier, Peter Dinklage as Bolivar Trask, Ellen Page as Kitty Pryde/Shadowcat, Ian McKellen as Erik Lehnsherr/Magneto, Halle Berry as Ororo Munroe/Storm, Booboo Stewart as James Proudstar/Warpath, Shawn Ashmore as Bobby Drake/Iceman, and Patrick Stewart as Professor Charles Xavier.